Half a Sixpence is Evie’s first novel in her Maids of Kent trilogy. Her Mother’s Daughter is the second in Evie’s Maids of Kent trilogy. A Place to Call Home will follow. The second book in a newly launched Victorian saga series for Arrow, perfect for fans of Dilly Court and Maggie Hope. Agnes Berry-Clay might have been born into rags but she is growing up with riches. Given away as a baby by her real mother, she was rescued and raised by her darling Papa and distant Mama. Agnes wants for nothing, except perhaps a little freedom. But as time goes on, her life at Windmarsh Court changes. New arrivals and old resentments push Agnes to the periphery of the family, and the consequences of one fateful day will shatter her dreams for the future. Heartbroken and threatened with scandal, Agnes is faced with a terrible choice: stay and surrender, or flee and fight to keep her freedom. This book is due for release in January 2018. 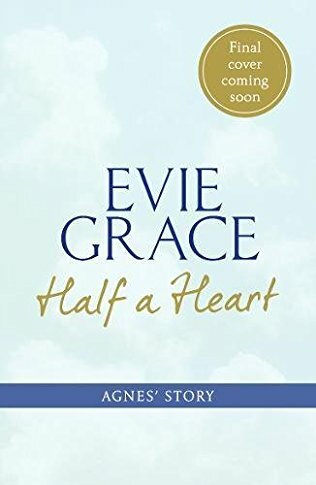 © 2017 Evie Grace Books. All Rights Reserved.